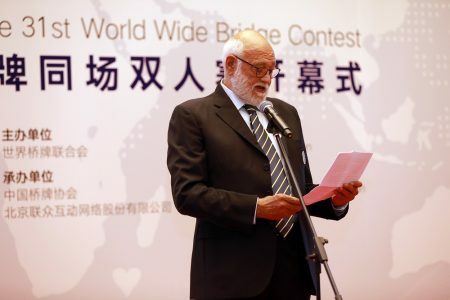 M.me Chen Zhili, former member of the People Republic of China Parliament opened the Final of the 31st World Wide Bridge Contest on Thursday 21st September, at the NUO Hotel in Beijing. The Ceremony was very impressive with the presence of several Authorities and representatives of the Media and was broadcast by Chinese TV. 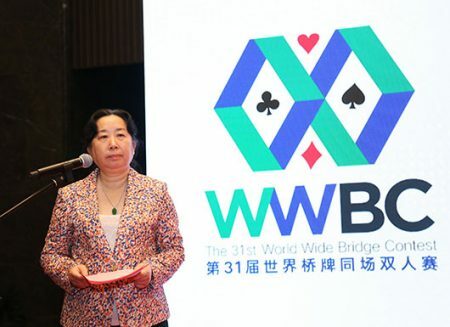 The Master of Ceremonies, M.me Chen Zelan, IMSA President, presented the event and introduced the speakers: Mr. Xiang Huaicheng, CCBA President, Mr. Eric Yang, Chairman of Ourgame, the main sponsor of the WWBC and Gianarrigo Rona, WBF President. 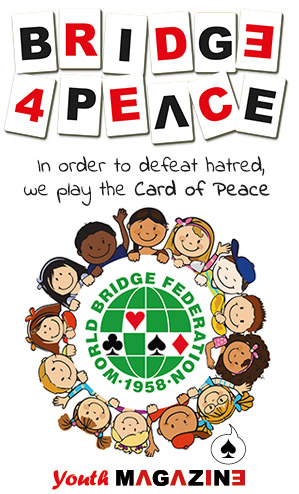 After the speeches, M.me Chen Zelan presented the 40 qualified pairs, coming from 18 Countries, representing the WBF Continental Conferences. 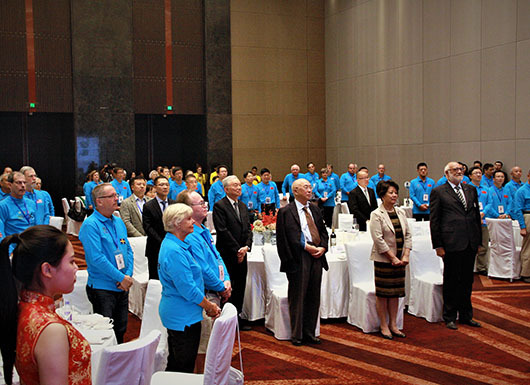 The Ceremony was followed by an Official Welcome Dinner.